Description: Bedrooms: Formerly belen's cafe. Zoned c-1 with total land area of .97 acre. 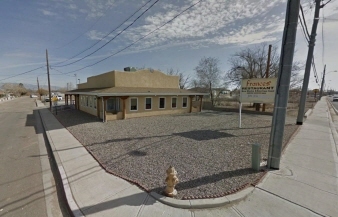 Commercial building is designed as a restaurant facility. The lovely restaurant is composed of a dining room, entry, kitchen, pantry area, two walk-in boxes and two bathrooms. The well-designed interior contains a combination heating & cooling unit, viga ceilings and tile flooring with a total area of 2,611 sq. Ft. Other improvements consist of covered porch areas, sign, landscaping, fencing and large concrete parking lot.